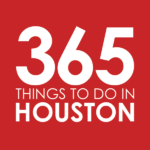 Our My Top 5 series showcases Houstonians who are creating the city’s culture and community, and asks them to share their own local favorites. This week, in celebration of Immanuel and Helen Texas Music Festival 2018, happening now through Sunday, July 1, 2018, we’re delighted to feature Timothy Hester, professor of piano and director of keyboard collaborative arts at the University of Houston’s (UH) Moores School of Music. He’ll be a guest soloist on Saturday, June 16 for the TMF Week 2 concert. Visiting favorite spots with my family – I love spending time with my wife, Jasmine, and our 7-year-old son, Byron. And there are so many things to do together in Houston. Every Sunday morning, the three of us go on a “pilgrimage” to Harry’s Restaurant and Café on Tuam to see our favorite waitress, Irene Marquez, eat fabulous Llapingachos, then go play tennis at Cherryhurst Park in the Montrose area. If not Harry’s, then the awesome restaurant, The Kitchen at Dunlavy, which is located right on Buffalo Bayou with a beautiful pond and area for hiking along the bayou, as well. Sometimes we will go to Houston’s incredible Arboretum if we really want to bond with nature. We always are amazed at the wildlife we encounter there! Dining around the world – Experiencing international cuisine in Houston is a favorite way to spend an evening. We can travel the world without leaving Houston by dining at one of our favorite spots, such as Doris Metropolitan (Israel), BCN Taste & Tradition (Spain), Ritual (Southern U.S.), Hyunh (Vietnam), Pepper Twins (China), Xochi (Mexico), Alice Blue (U.S.) and so many others… I also enjoy seeing a movie at the iPic theater with its fabulous lounging chairs. Saturday morning Mexican food – For years I have met one of my best friends every Saturday morning to walk around the loop at Memorial Park, then go over to Sunrise Taquitos (a little dive connected to the Shell gas station on Memorial Drive just east of Westcott) for an absolutely delicious and inexpensive Mexican breakfast. Or, for variety’s sake, we might go to La Guadalupana Bakery and Café or Arnaldo Richard’s Picos on Kirby. Of course I realize that the taquitos we consume completely negate my efforts to be healthy – but the friendship I have with my buddy is worth the extra calories! We reminisce, are ardent creators of baudy double and triple spoonerisms and usually end up laughing until our bellies ache! Houston’s many music companies and performance groups – As music faculty members at two Universities in the Houston area, my wife Jasmine (University of St. Thomas) and I (UH Moores School) have developed many dear friendships with area musicians. So we love hearing their outstanding performances in one of the most fertile urban musical centers in America, which includes Da Camera, Ars Lyrica, Mercury, Houston Grand Opera, and many of the smaller wonderful groups in town like Apollo Chamber Players, Terra Nostra Ensemble, Aperio – Music of the Americas. There is no doubt that on any given night, there is plenty to do with friends and, of course, celebrating after is one of the best ways to enjoy life! A native Houstonian, piano virtuoso Timothy Hester is celebrating his 27th year with the Immanuel and Helen Texas Music Festival (Tuesday, June 5 through Sunday, July 1, 2018) He will be guest soloist on Saturday, June 16 for the TMF Week 2 concert, performing Johannes Brahms: Piano Concerto No. 2 in B-flat Major, Op. 83 with the 2018 Texas Music Festival Orchestra. 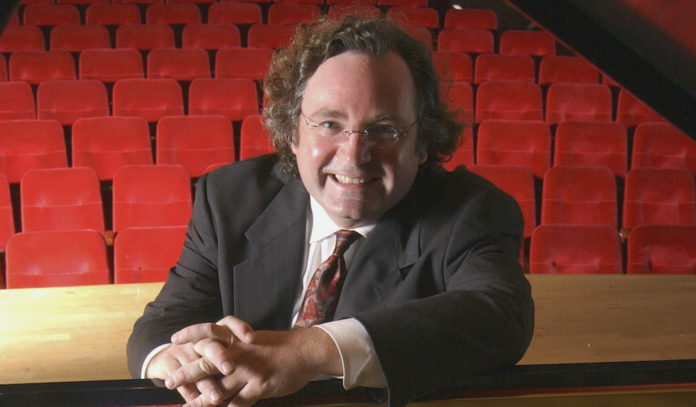 A graduate of The Juilliard School, he is Professor of Piano and Director of Keyboard Collaborative Arts at the University of Houston’s (UH) Moores School of Music. He has performed worldwide in venues in Britain, France, Italy, China, The Netherlands, Mexico, Greece, Canada, Japan, Singapore, and Taiwan on international music festival stages as well as regularly with Da Camera, the nationally-recognized, Houston-based chamber music ensemble.